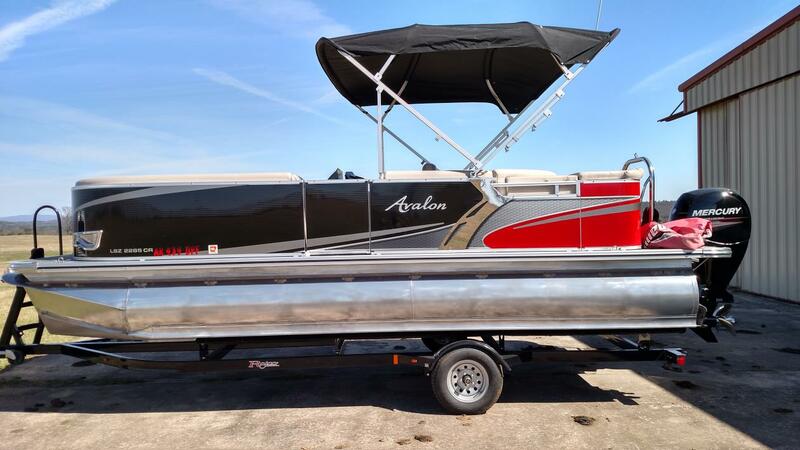 2014 Avalon LSZ 2285 CR 2014 Avalon LSZ 2285 CR Tri Toon Mercury 150 HP 4 Stroke with trailer, life jackets,tube,rope ready to go. This boat only has 25 hours on it it's like new ! 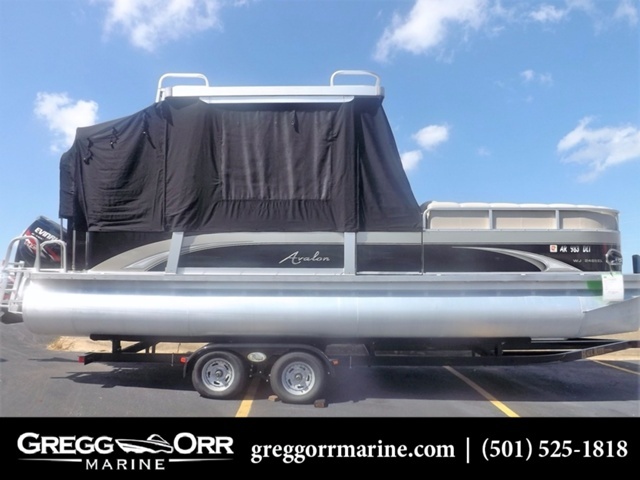 Garmin GPS, Tilt Wheel, Stereo, leather seat, table, pop up changing room or porta potty, ski pole, ski locker, non slip vinyl flooring a 2000 dollar up grade, power trim, deck lighting, docking lights, swim platform with ladder, dual batteries, boat is trimmed in stainless steel.